If you are looking for Word Link Answers today’s puzzle answers, you can find them by following our guide. 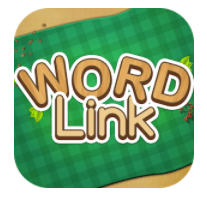 Here you can find the answers of Word link Daily puzzle for the lifetime of the game. First of all, you need to know that the daily puzzles are not set in a calendar way. It is different from a player to another. Current puzzle number = number of puzzles you have already solved + 1. Means, if you have solved 3, your current puzzle number is 4 and so on. Scroll the below list to find your puzzle, try to locate it by a word already found. I recommand you to use the first method. If you don’t remember your current Day puzzle number, you just have to fetch the below list from the top to the bottom and then locate your level. After solving it, write down the number of the level to use it for the day after puzzle. Finished word link today’s puzzle ? You can Go back to the main topic ( levels ) : Word Link game answers. I hope you got from us your daily bonus in an easy way, if you have any suggestion, please tell us. What happened to the numbers? Thank you for letting me know the issue.. I’ve just fixed it.